When boarding an aircraft today, passengers are greeted by cabin crew from all races, nationalities and back grounds. But in 1950s America, the flying world was very different. Racial prejudices and a mountain of strict regulations meant there were NO African-American flight attendants working for a US carrier. One woman intended to change all of that. 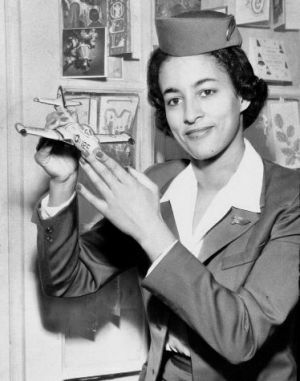 Ruth Carol Taylor first worked as a nurse, before turning her attentions to changing the colour barriers that existed in American aviation by becoming a flight attendant. This is her story. Taylor was born in Boston, on December 27th, 1932 to Ruth Irene Powell Taylor also a nurse, and William Edison Taylor, a barber. At the time, black civil rights in North America were virtually non-existent. This was many years before Martin Luther King would make his famous “I have a dream speech” in 1963, and times were hard for many African-Americans. Later, the family moved to upstate New York to set up a farm, before Taylor went on to follow in her mothers footsteps and study nursing at the Bellevue School. Racial prejudices were not the only thing hindering many hopefully flight attendants. Weight, height, overall appearance, marital status and age, all played a part in how long your career would last at an airline, or indeed if you would be hired at all. These barriers would exist for many years, until crew such as Taylor and others like Iris Peterson, began to fight for equality in the industry. In 1958, Taylor applied for a job with US major, Trans World Airlines (TWA). Her application was immediately rejected, simply because of her skin colour. This angered Taylor immensely and she was determined to fight back. And fight back she did, filing a complaint against TWA with the New York State Commission of Discrimination. No action was brought against the airline, but other companies began to re-think their policies on hiring ‘minority’ crew members. The first to do so was Mid-Atlantic carrier Mohawk Airlines and Ruth, along with 800 other black applicants applied. Taylor was the only successful candidate, and in December of 1957 she was hired. This was the first in a number of milestones for Mohawk and when they eventually merged with Allegheny Airlines in 1972, they had broken numerous moulds within the industry, including becoming the first regional airline to use a centralised computer reservations system, first to utilise flight simulators and the first regional carrier to inaugurate jet aircraft into service. By early the following year, Taylor’s training was complete and she was ready to take to the skies. On February 11, 1958 history was made as Ruth Carol Taylor became the first ever African-American flight attendant, operating her flight from Ithaca Tompkins, Regional Airport to New York, JFK. This was a ground-breaking moment in both American and civil aviation history. 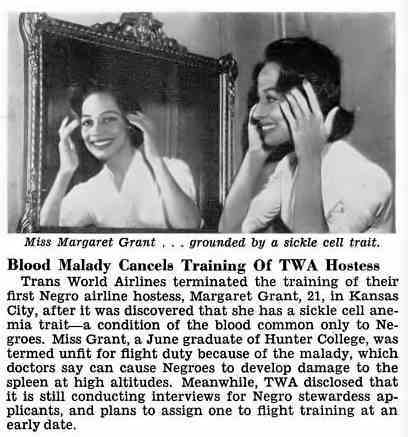 Just three months later TWA repented on its decision and finally hired Margaret Grant, the first major US carrier to hire a ‘minority’ crew member. But as Taylor’s role as cabin crew had broken racial barriers within the industry, it would be another ridiculous regulation of the time that would ultimately lead to her departure, just six months later. Before applying to the airlines, Taylor had been engaged to Red Legall, but being a married woman was forbidden by all carriers in the 50’s and 60’s and as her wedding day approached she was forced to resign from Mohawk. Her flying career, although short-lived, had not only changed the aviation industry forever, it had also been a major coup in the fight for black civil rights in America. Shortly after she left, Taylor and her husband moved to the British West Indies but much like her flying career, her marriage was short and the couple divorced after the birth of their daughter. Her fight for racial equality didn’t stop when she left Mohawk. Taylor continued working to improve civil rights, reporting on the 1963 ‘March On Washington’, as well as becoming an activist for consumer affairs and women’s rights. 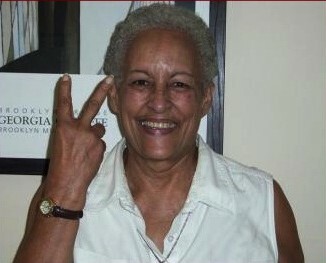 She returned to New York in 1977, where she co-founded the Institute for Inter Racial Harmony. This institute developed a test to measure racist attitudes known as the ‘Racism Quotient’. In 1985 she wrote ‘The Little Black Book: Black Male Survival In America’, a survival guide for young black men living in the United States. Speaking to JET Magazine in 1995, Taylor admitted that she had never actually wanted to become a stewardess, she merely did it to break the racial barriers that existed in the industry. “It irked me that people were not allowing people of colour to apply… Anything like that sets my teeth to grinding”. It took 50 years after her first historic flight for her achievement to be recognised when in 2008, her accomplishments were acknowledged by the New York State Assembly. Although Taylor’s hard-fought victory at Mohawk and the subsequent hiring of Margaret Grant by TWA had broken boundaries, the promises airlines made to change their ways were not forthcoming. 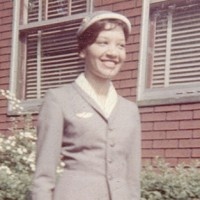 No further African-American flight attendants were hired by American carriers, until Capital Airlines took on Patricia Banks in 1960. Her employment was only made possible, after the company was ordered to do so by the New York State Commission Against Discrimination. Banks had applied four years earlier and had fared well in their initial screening process. But the airline failed to follow her application and did not make it clear why they would not give her a position. A public hearing in February 1960, ruled that Capital had illegally discriminated against Banks because of her race and they would have to hire her. Even when African-American crew finally did begin flying careers with the major airlines, they still faced an up hill struggle for equality. In 1962, Northwest Airlines employed Marlene White, who later claimed that the carrier had singled her out for degrading treatment and although she had graduated within the upper third of her class, she was fired with no just cause. She was later re-instated after she too filed a complaint. Today, cabin crew of all creeds, colours, nationalities and ethnic backgrounds work together for the same goal, to ensure the safety and comfort of the travelling public. It took a long time for airlines especially in America, to accept African-Americans as equals and hire them as flight attendants and it is with no doubt, that if it hadn’t been for the battle carried out by those first incredible women, Marlene White, Margaret Grant and of course Ruth Carol Taylor, it would have taken much longer for the fight for racial equality within our industry to be won. This is why Ruth Carol Taylor joins our Angels Of The Sky. Thanks for this! I didn’t know. Ms Taylor is an amazing person!